To answer the above questions, I decided to write this article and share my experience. 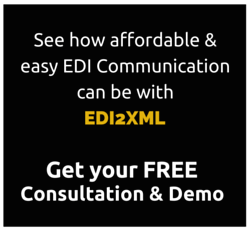 This can be helpful to a lot of business people such as executives and business owners and Amazon Account Managers, who most of the time have limited information about eCommerce integration and the use of EDI to simplify their business flow and processes. Amazon.com is the pioneer in online retailing and now third largest retailer, behind Walmart and CVS. Amazon has truly come a long way: starting out as an online bookseller, this online marketplace now sells everything, from “A to Z”. In 2017, Amazon acquired Whole Foods Market for $13.4 billion, which vastly increased Amazon’s presence as a physical retailer. The acquisition was interpreted by some as a direct attempt to challenge Walmart as a physical store (As per Wikipedia https://en.wikipedia.org/wiki/Amazon_(company) ). Amazon, as an eCommerce platform, has a presence everywhere (Amazon.ca, Amazon.uk, etc.) and is capable of delivering in almost every country. For more information, you can visit their site and learn more. With over 300 million active users, 65+ million Prime members and roughly $6.4B in sales (from retail subscription services), many companies are looking to sell their products on Amazon.com. Who wouldn’t want to when Amazon is the KING of eCommerce Stores with roughly 175 million monthly visitors or potential buyers – the largest online marketplace. Selling on Amazon is quite simple and quick to achieve. It takes few moments to create an account on Amazon.com either personal or business account, setup your items and start selling. Amazon themselves provide a payment gateway solution and all kinds of logistics and assistance to make sure your products are sold and delivered to consumers. One thing for certain, every seller should work and respect Amazons’ own terms and conditions and pay the monthly subscription fee along with the selected program fees. Part of Amazon’s offering in the eCommerce platform is that they provide an easy “back office” interface, called Vendor Central (for 1P sellers), where brand administrators can add items to the platform, prices, stock availabilities, product descriptions and more. In this same interface, the admin can manage orders received from consumers, updates item statuses and shipment details. What else is on Amazon Vendor Central? One of the options provided by Amazon Vendor Central is the ability to set some type of integration between your business software system and your Vendor Central Interface using EDI. 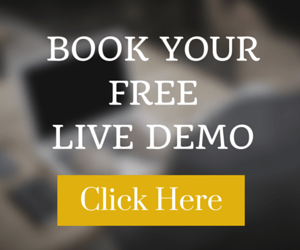 This is a very important feature offered at no additional cost to sellers, so that they can integrate their day-to-day orders received from their Amazon store into their Software Management System and vice versa. As highlighted in the previous section, the Vendor Central provided by Amazon allows you (as an account and eCommerce store owner) to manage every aspect of your store, manually. This process depends on human interaction and intense manual labour work. The ability to transport and integrate your data between your software system and your Amazon account in both directions (in and out) is uniquely done through EDI. Meaning when you want to extract an order from Amazon and automatically integrate into your JDE, SAP, Sage or any other system, the only way to do so is using EDI integration. Whenever you need to push new Items, SKUs, pricing ….to your store on Amazon, EDI is the only way to do so without having to manual key in all of this data. When should you embrace EDI with Amazon? Your number of orders generated on Amazon are exceeding 15 per day. Why is the magic number 15 orders? This is due to the fact that the window to ship those orders out to your customers is very narrow, about 24 to 48 hours. Therefore, managing this amount of daily orders manually can lead to a ton of human errors and in turn, penalties by Amazon. 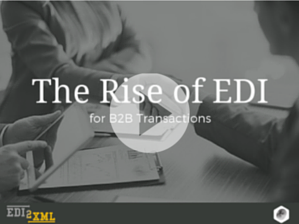 What are the top benefits to be on EDI? Stay on the lookout for part 2 of this article where I dig deeper into the steps that a company needs to follow in order to be EDI compliant with Amazon. 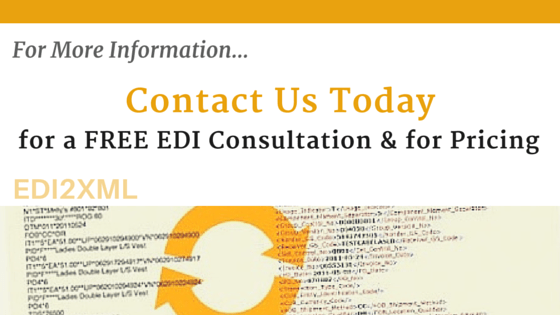 In the meantime, feel free to reach our EDI integration experts today to help you with your Amazon integration needs.